Peppermint pure essential oil, menthe piperita, has been used for digestive complaints since it was first discovered by humans. 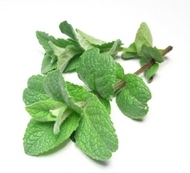 The main active ingredient is menthol which is an effective decongestant, and this is Peppermint's most effective usage. Use it for all complaints of the digestive system like indigestion, heartburn, cramps, colic, flatulence, Irritable Bowel Syndrome (a massage would be effective here), travel sickness, nausea. Menthol seems to be able to thin mucous so use this cleansing essential oil for all respiratory ailments such as sinusitis, bronchitis and asthma. You could use theinhalant method for all upper respiratory conditions and to relieve chest congestion use a compress or massage. This refreshing oil has a wonderful cooling effect on the skin and on our moods. It can be applied to all feverish or inflamed conditions of the skin used in a facial spray (add a couple of drops to some water), and can help open up clogged pores. Use it for neuralgia, headaches, and migraines. You can use this antiseptic oil to reduce bad breath, heal mouth ulcers or oral thrush by gargling a few drops dissolved in a glass of water. Remember not to swallow! In the house it is an effective pest deterrent against mice, fleas and ants. As a mood enhancer it is fantastic to elevate our mood, clear the mind, eliminate negative thoughts, lessen mental fatigue and act as a general boost to our sometimes flagging energy levels. Cooling or warming, depending on the use.Very strong minty camphoraceous scent. Perennial herb to 1m in height with below ground runners. White peppermint has green stems and leaves. Pale yellow or greenish liquid. Menthol, menthone, menthyl acetate, menthofuran, limonene, cineol. Stimulant so avoid at night time. Do not use excessive dosages as it can cause itchiness. Avoid if you are an Epileptic or suffer from other neurological disorders.